Lake Helene in Rocky Mountain National Park. At National Park Trips Media, we feel there are few natural places as inspiring as our country’s national parks. 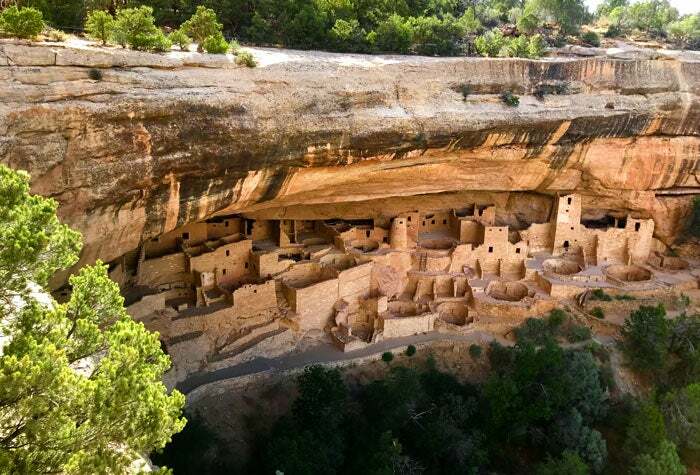 Rocky Mountain National Park, Black Canyon of the Gunnison National Park, Mesa Verde National Park and Great Sand Dunes National Park & Preserve rank high on our favorites list. As experts in national park travel, we started our company to make it easier for people to plan their dream vacations to national parks like Rocky Mountain. We spend every day, uncovering the hidden gems of the national parks and the roads to them, so you can spend less time researching and more time having fun. From its incredible vistas, alpine lakes and wildlife, we believe Colorado's national parks and the area’s roadside attractions truly offer something for everyone. Every year, we help more than 600,000 travelers plan a Colorado national park vacation. Our detailed trip-planning websites, National Park Journal, Colorado edition magazine, park-specific trip planners, social media channels and e-newsletters are packed with insider tips on what to do in and around the park, including the best places to eat, sleep and explore. We also have developed epic road trips with daily itineraries that highlight fascinating natural and cultural attractions and fun outdoor activities along the way. MyColoradoParks.com is one of the leading travel planning website for travelers interested in visiting Colorado's Rocky Mountain parks. Start planning your dream vacation by visiting our site and learning more routes to take, logistics to nail down and the quirky off-the-beaten path attractions you should see. Every year, we produce four in-depth National Park Journal magazines, including editions for Colorado, Yellowstone, Grand Canyon and Yosemite. The National Park Journal, Colorado edition showcases all of Colorado’s amazing destinations, plus provide national park enthusiasts with more inspiring content about Colorado’s four national parks, plus Dinosaur and Colorado national monuments. Every year, our National Park Journal helps 350,000 travelers plan life-changing road trips to and from Colorado’s national park sites, authentic towns and spectacular attractions. It’s in Barnes & Noble across the country as well as other book stores and grocery outlets. Our magazine is also distributed as complimentary copies to travelers in visitor centers and businesses in Colorado, New Mexico, Texas, Utah and Wyoming. You can buy it on Amazon. For those who prefer digital media, our magazine is available electronically as single issue or as part of a four-magazine National Park Journal subscription covering Grand Canyon, Colorado, Yellowstone and Yosemite national parks on Kindle, Nook and iPad. To purchase a single issue, national park enthusiasts can go to Zinio and download it.